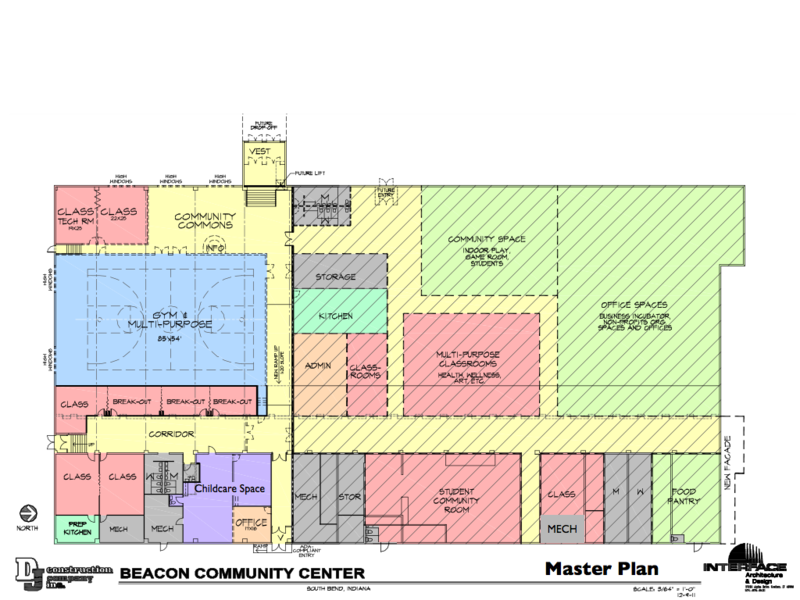 The Beacon has developed a 3-phase renovation plan so that parts of the building can be used while others are still under construction. Phase 1 quickly opened 4,000+ square feet of space. Critical building maintenance was addressed, and the old bar and restaurant areas are now multipurpose spaces for education, meetings, and children’s activities. 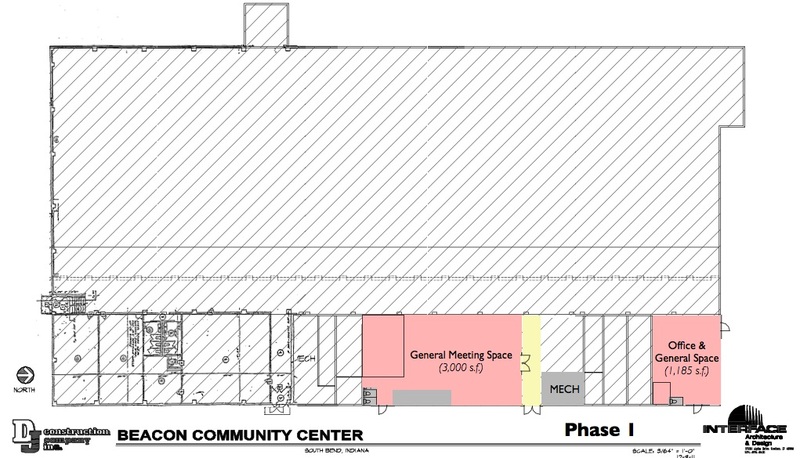 Phase 2 will reclaim an additional 19,000 square feet of gathering spaces, classrooms, and small breakout rooms to serve different community programming needs. This phase is of greatest importance as it abundantly increases our opportunities to impact the community. A capital campaign for Phase 2 is currently underway. 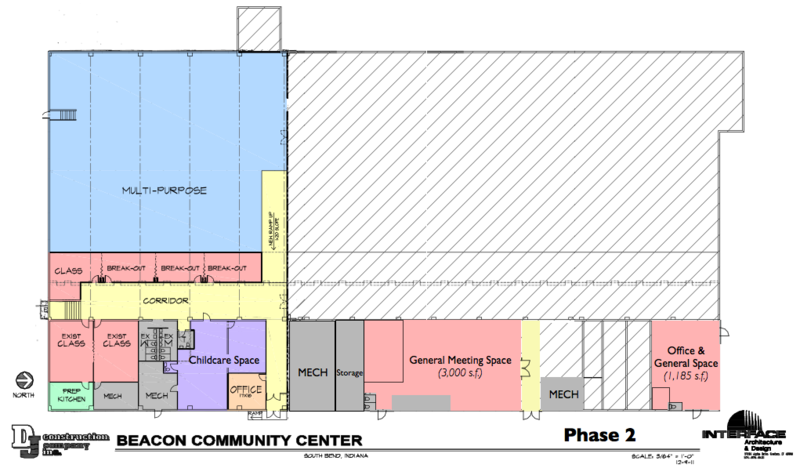 Phase 3 will improve upon the Phase 2 space with specific community-focused upgrades, including a technology room, a multipurpose gym, and commons. 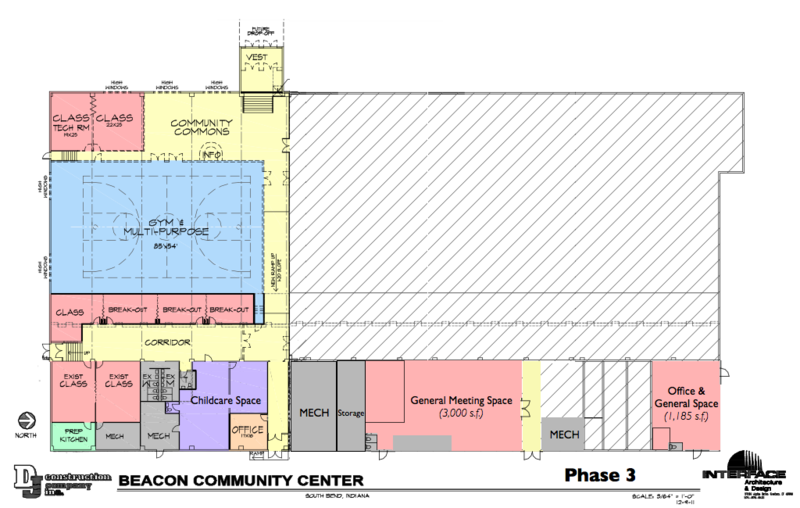 In 3-5 years, the Master Plan is to use the remaining 30,000 square feet of space to meet the long-term space needs of partnering agencies by offering free or reduced rent for organizations that align with the mission of The Beacon. The above diagram is subject to change based on input from the partners who will occupy the space. Stay tuned!